Deaflympics'17 Aftermovie from Tarık Üzgün on Vimeo. How deaf teach hearing to listen. The Deaf Can Teach You to Listen Better from J Z on Vimeo. Why ? When less than 2% of deaf actually sign. Are we just limiting the deaf to one mode of communication that requires dependency? Playing to culture and not communication? There are alternatives. Text, lip-reading, cochlear implants, BAHA's, better hearing aids etc. Why not teach people to be more loss aware and speak properly? 60% of deaf also talk... Most with lesser hearing loss rely on text. The myth the other 98% sign is perpetuated online via fake news. There's a new word on the street in Ballyphehane these days. Since the successful establishment of Irish Sign Language (ISL) classes under the umbrella of the popular Club Ceoil initiative at Deerpark CBS in September, more than 60 people of all ages have begun to learn it and use it in their daily lives. Under the tutelage of Adrian Rynne from the Sign Language Association of Ireland, the group have made great strides, with 20 of them recently passing Quality & Qualifications Ireland (QQI) accredited exams with flying colours. Among the students is grandmother of one Geraldine McNulty from the Kent Road. An active member of the Club Ceol community, she also participates in weekly set dancing classes and was inspired to learn a new skill due to the nature of her work. “I work in Dunnes in Douglas Court and there are a few customers who come in who are hearing impaired,” she said. “I thought it would be nice, rather than just smiling at them, to be able to say hello and thank you, just a few words. “I met one lady out in the centre and I told her that I was doing the course, I had to write it down because I didn’t know how to sign it at the time. “I met her again the other day and told her that we did our exams and that we passed. She was delighted with that.” Geraldine knows more than a few words now, in fact, she passed her exam with distinction, and is now working towards her level 2 qualification. “I couldn’t have a full blown conversation with anyone at the moment but I can ask them how they are, where they’re from, about the weather and hobbies,” she explains. “A girl I work with does one of the classes too so we practice at work between one another. “I might ask her how she is, and she says she’s good. 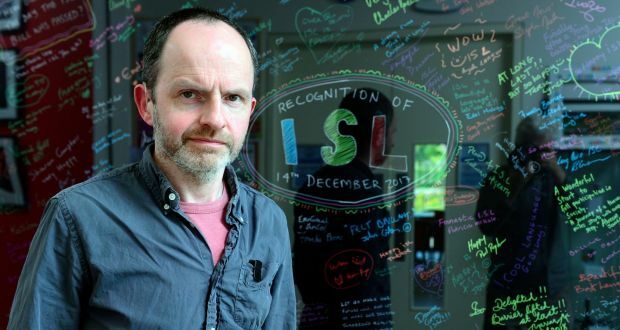 Simple things like that.” Geraldine says learning ISL is something everyone can consider. Most deaf can talk and do. Why would anyone choose not to, to prove a point? Only an idiot. 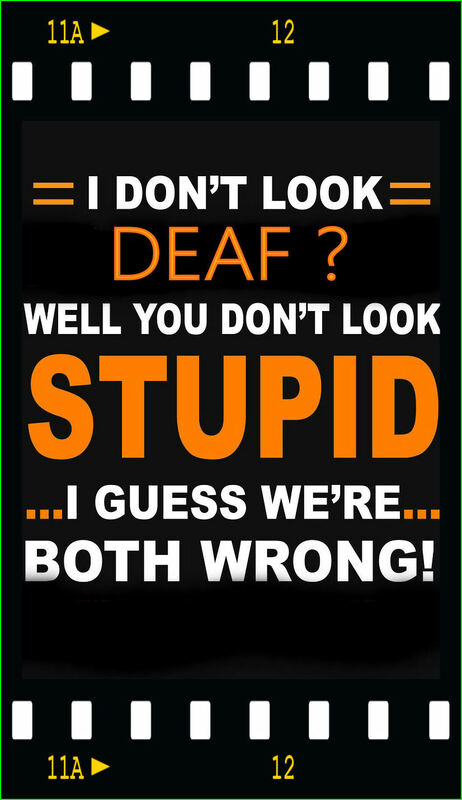 Real deaf need to close down this argument as the rubbish it is. It promotes martyrs to the cause and creates more reliance on others too. No speech outside the community' kills access and inclusion. NOT what we are about. Only 2% rely on sign as it is, and 98.4% have hearing families, would you deny them your speech too? Look at me I'm acting mute, we DON'T think so! 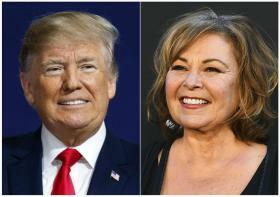 Roseanne Barr can't you take a joke? The myths about being tolerant. Aren't we all glad we are not TV celebs/ stars? We should look at the term 'tolerance', as this doesn't always mean acceptance too. We are actually more intolerant of difference now than for many years, and diversity is just another way of saying them, and us. We all have numerous and very good friends who declare, they (?) are the same as us (? ), black/white/trans/Gay/ginger-haired/deaf/disabled/foreign/Islamic/Christian/Hindus etc, but 6 Billion on our planet are diverse. We live in an individual and secular age, not a society. The only time we get together is as a mob on social media so we can hide our prejudice with them. Lot's of 'cest la vie' ! but in reality, we make little or no attempt whatever to put integration or inclusion, into real practice, always its horses for courses, what 'they' do, not what WE do etc. Along with the term multiculturalism which is fake too, and an abuse of integration, as well as being the ultimate opt-out. Those that cannot understand the difference between tolerance and inclusion are the very ones who promote the ignorance of realities and perpetuate hate and segregation. We are all racists, it's just degrees of how we practice it. If we practised what we preach to others, and fool ourselves with, then hate laws would not need to exist, would they? We kid ourselves we accept diversity or are tolerant, which is just another way of saying, it's fine, so long as they do not impinge on or bother us or attempt to legislate that acceptance, which is taking away our right to disagree with other aspects of diversity and race, we do feel is quite wrong. We are being asked to accept the unacceptable too. I doubt 75% of us here go out of our way to break down real barriers, we are more inclined to say we 'tolerate' them doing their own thing without us. We patronise them but are polite about it, and then take a moral high ground when that breaks down. There are people I do not like, people who don't like me, and it doesn't bother me what type of diversity they allude to, I retain the right to ignore, challenge, or disagree. Once that right is undermined we are all in trouble. Only a fool believes we can legislate hate away. We are told 'unconscious racism' has to be addressed, but the basic biological fact is that there are things we like, and things we don't, that will still hold true. It's a throwback to a basic primal response, anyone who believes we can educate that away doesn't understand it at all. In some simplistic examples, If your body tells you not to eat something because it makes you sick then you don't eat it. You don't make yourself sick to prove a point. There are people who for no obvious reason at all, your body tells you, not to trust them. Body language, facial responses, 'gut' feelings, etc, all tell us these things. We are mostly declaring we accept others then ignoring them after. Then we become hypocrites attacking those who just say they are not going with it and it exposes our own prejudices, how dare they. In reality, the moral righteous are promoting hatred by reverse oppression on the racists, who will just see this as attacking free speech. Worse, they believe it works... it just drives it underground where it is much harder to deal with. The UK was declared one of the worst countries in accepting others in Europe, by the UN. It's government indicted and found guilty of the genocide of 6,000 elderly and disabled, and shrugged it off. It seems the more 'civilised' we become, the more hate exists. We have rebranded it and called it tolerance. The woman was shot as she walked alongside rail tracks after walking towards police officers in East Jerusalem, Israel, on Sunday evening. Officers said they shot at the woman fearing she was carrying an explosive device with the intent of carrying out an attack. Police confirmed later that no weapons of any kind were found in her possession. A police spokesman said last night: "A short while ago a suspect approached by foot along the train tracks from the area of Beit Hanina toward Pisgat Ze'ev, and was noticed by civilians and security guards who alerted Border Police soldiers who were nearby. The woman was shot as she walked alongside rail tracks. Police said they initially fired in the air as a warning before firing at the woman, sticking by the official protocol. One policeman finally fired towards the woman's legs in order to stop her. Deafies who 'Come Out' of the hearing closet. If you grew up with a disability, how does it define your identity today? Some might say it simply doesn’t influence their sense of self very much, or at all, while others fully acknowledge it – even embrace it. Growing up profoundly deaf in a near-100 percent hearing world, where it was all mainstream schools surrounded by family and friends who were all hearing, my deafness certainly shaped my identity – but it was all centred on pretending I wasn’t deaf or trying to pass myself off as a hearing person. Clearly, how you forge your own identity will be a very personal journey and no two stories will be alike. But there is an increasingly common thread running through the tales of more and more deaf people about how they found a positive disability identity. For me, it all began when I left home to study at Dublin City University (DCU). There, I met and got to know another deaf student who was a year above me. While we had some things in common, the fact that he had attended a school for the deaf and was fluent in sign language meant that our experiences of growing up as deaf people were miles apart, in every sense of the word. I found myself being intensely curious about this. So I sought out more deaf people. 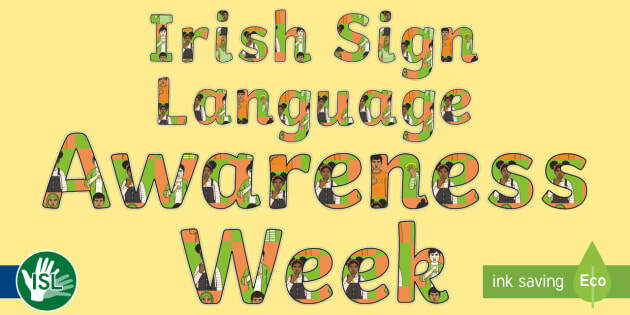 I started attending the local deaf club, made deaf friends and started learning Irish Sign Language (ISL). I made the Irish Deaf community the subject of my final year thesis at DCU, through which I learned about the emerging concept of a “Deaf” identity. Terminology and ID soul-searching mean nothing much these days, finding your own label doesn't improve your inclusion prospects. HoH/Hearing Impaired/Deaf/deafened/cultural deaf/severely deaf, profound deaf/disabled/D/d/oral/signing deaf etc.. You can be sure someone will oppose each or all of them. To be 'pure' you have to cut loose from inclusive aims. There are as many terms as db loss degrees... We can be ourselves without any label. Once you understand that, then the rest is a diversion. All we can do for our own sanity is try to prove how loss affects us and leave the terminology to those with nothing better to do but invent new ones. There is no real unity of purpose, culture is always frightened of integration and inclusion because they fear they cannot manage in a wider context, to preserve it. Almost certainly compromise will water it down so it works. Whatever term/ID you decide to adopt for yourself, it won't improve your hearing, or access, terms are only for those with an ID crisis or unable to manage their hearing loss. It's as if allying yourself with someone else's way of life, sorts yours out. 'Coming Out' as a deafie, is it really the point? This will greatly enhance his ability to promote anti-audism posts. Face my Words | Trailer 2018 from Olia Dramitinou on Vimeo. Deaflympics boss placed under house arrest..
Rukhledev, who was elected to the ICSD post in 2013, is accused of embezzling over Rs50 million (£604,000/$803,800/€690,000) from the All-Russian Society of the Deaf in Moscow. 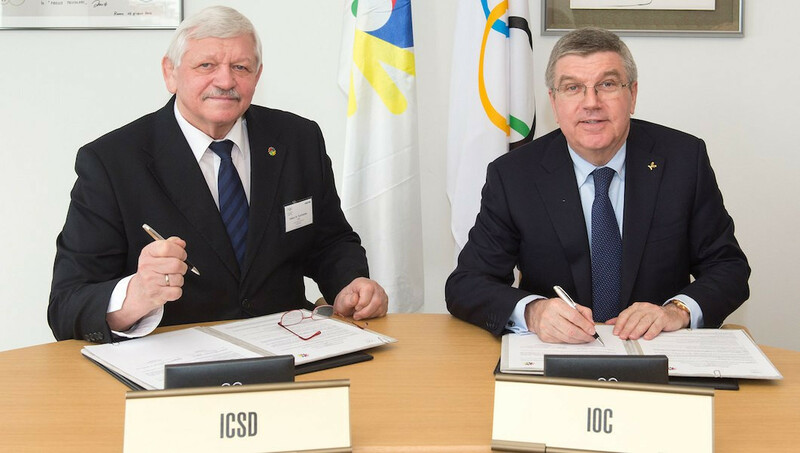 The 70-year-old, a six-time Deaflympics champion for the Soviet Union between 1969 and 1977 in Greco-Roman and freestyle wrestling, has been charged under the Russian Criminal Code. A Moscow Court has ruled that he will be kept under house arrest until July 23. Tatyana Zembatova, the All-Russian Society of the Deaf's Financial Department head, has been detained for the same period. Evgeny Novoseltsev, the former head of legal support at the All-Russian Society of the Deaf, was also arrested on suspicion of swindling funds in January. New App interprets baby cries. Don't you just know it ! While focus tends to be on 'Black and White/Ethic/Gender' issues, let us not assume these things are just an issue in the hearing world, they are, just as much in have own social areas and norms, regardless of the sign use commonality. There's the rub, equality and inclusion isn't a right, it's relative, because inclusion doesn't follow the route of being an absolute. We have a right to be different and alternative, and we utilise and campaign for that right. The sad thing is it tends to only be viable in isolation. E.G. Deaf Israelis, may not welcome deaf Palestinians etc with open arms. Indeed Jewish deaf in the UK and Asian ones often operate quite apart from the 'mainstream' of other deaf where there are a significant number of them, they polarise like with like, and religious norms come into play too. If we are honest we would just not attend those places, assuming they prefer to want that. Or just we don't 'do' religion anyway... We respect their right to own 'space'. (We should actually NOT be respecting that particular right because it basically legitimises segregation), it may not be a 'hard' or obvious example of segregation, but none the less, that is what it is. We don't have multi-cultural societies anyway we just have different cultures who are doing their own thing. Many deaf can be uncomfortable with Gay/Ethnic areas and avoid attending those, or, where all the deaf are of the same ethnic origin/ colour, and would not feel comfortable standing out by going. No-one is saying we shouldn't be more accepting, what the cultural deaf are saying, is each to own, and, that isn't inclusion either is it? The Deaf V deaf and cultural wars border on exclusion and a preferred segregation socially (The 'Deaf' space) do they think hearing or HoH will threaten culture? The deaf space suggests they are scared to attempt integration, so feel a need to not get that close to it. Of notice to non-european bloggers. ATR collects NO data knowingly from anything we post or asks for any cookies and accepts no responsibility from Links that do ask. RETREAT 2nd Teaser from Defeye Films on Vimeo. The maker of the country’s first movie to feature a deaf cast and a perfectly timed computer game that foresaw the public debate over data privacy are among this year’s top 50 individuals and firms revolutionising the creative industries. The groundbreaking movie features actors who sign their dialogue, leaving those who do not know British Sign Language to read subtitles. Although it is a first, Ted Evans, who was born deaf, is quick to point out that the film he is developing – a follow up of an earlier short film – is not solely for the deaf. “Retreat just happens to be a story about a group of deaf people who communicate in sign language, and it is my hope that anyone can go and experience the film,” he says. “Deaf people enjoy going to the cinema and they love watching films so long as there are captions or subtitles and I hope to reverse that by bringing a unique film to a mainstream audience who don’t understand sign language.” Evans believes many deaf people such as himself find watching films frustrating if there are no subtitles or there’s overlapping dialogue. He also believes deaf people are often represented by film-makers who do not fully understand what it is like to have no hearing. Vibracelet - A deaf supporter from Knecht Rubrecht on Vimeo. The project "Vibracelet" was looking for a way to make life easier for deaf-mute people. There are already aids, but these are usually impractical or not coordinated. Vibracelet combines all the important everyday tools in a mobile product, which is easy to use even by older and digitally inexperienced users. Hearing people in Deaf Culture. There are many deafened people (i.e. hearing who lost it either during, or after formative years). ATR is one of them. I've been deaf 70% of my life, serious loss occurring age 11, profound loss at 20. I have a fair idea of deaf culture and aspiration as anyone within it. I know sign language and have a partner in that set up since day one, straight to deaf schools and social life/clubs and friends, but I have the advantage of offering some alternatives and better access to the wider hearing world and this allows me to widen my partner's access and world too, which her social set up does not appear to do. It was gained by very bitter experience, stresses, physical and mental abuse, and discriminations and humiliations you can only dream about. I use sign daily, it's no big deal but can switch to alternatives to meet the need as and when, they aren't all 100% because no communication is, but the option is there, forced by necessity, not culture. I had no possibility of taking another route, you went in at the deep end and swam, the other alternative was you drowned. There were no interpreters, special teachers, social services, schools, or such for the deafened. You were damned by your own ability to speak, or a few db you had left. We fitted no criteria for support either as deaf, or as being disabled by it. I can still recall asking a social welfare officer at one low point for help, and being told to come back when I learnt to sign, despite the fact no classes existed to do that, I never asked for help again. This can annoy die-hard cultural deaf who feel it is a 'threat' of some kind, some 'heresy' to suggest sign is no big deal, and deafness doesn't define except at the point of acquiring it, not even then if alternative pathways are made extant. It's not even a hereditary trait in cultural terms because 97% have no family/parental background of deafness, and culture an unaffordable luxury taking second place to effective real-time communication. It works because the social thing is isolated from the hearing aspect. As ex-hearing, this doesn't look a fair trade to me. Deaf schools and clubs and social areas need more hearing within it to blow the cobwebs away, the attitudes need addressing too, it restricts own advance. All deaf together, simply equates as all deaf apart. 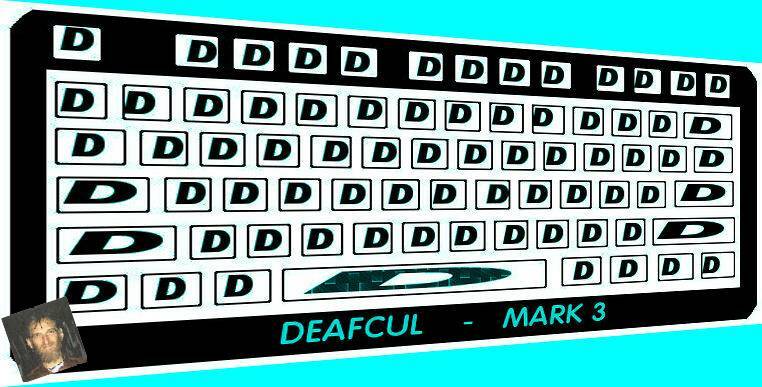 There are deaf people managing with or without it, many more than exist IN deaf culture, and defying the stereotype. There are the 'born again' exceptions, but that is par for the course, but we need to watch those speaking in others name, they are the real outsiders. So the cultural deaf moved the goal posts to 'us and them', and played silly buggers with db definitions and childish d/D re-defining of us all. Which further isolated them, their need to constantly re-erect new barriers as inclusion looms over them is annoying and frustrating. We all need to adapt to survive, unless you take the easier route of almost complete reliance on (Hearing! ), others and restrict yourself to set social situations and lifestyles, which as a mere individual, does not look to me at all like a lifestyle choice or option, rather the opposite. Just because your prison has no visible bars, does not make it any less a prison. Hearing society isn't something to be viewed with suspicion, petty hatred, or concern, as we are already here and within your culture, and contributing to it, and without meeting any cultural criteria. The deaf Hybrids have always been there and made a major contribution, the point we are still not cultural ourselves should not matter. That is, if you really do accept equality and inclusion. Visual Phonics by Hand is a system of handcues for teaching and using phonics with deaf children. Using the two-handed fingerspelling alphabet as a starting point, it capitalises on the ability many young deaf children have. It offers a quick tool to show the phonemes in English speech and spelling. It overlays any published phonics schemes to give greater access for deaf children. It was developed by Headteacher, Babs Day, who, as a Teacher of the Deaf, created it as a literacy teaching tool for mainstream or special school classrooms. VPbH has good application to Speech and Language therapy situations and home use too. Ontema was inspired by the most unusual idea: a member of the development team explained that its creator came up with the idea by envisioning hair as a communications interface for humans. At its most basic level, Ontema is a digital synesthesia device; a hairclip which converts sound into a combination of touch and visual stimulus, enabling hearing-impaired users to feel and experience the sound of the environment they’re in. By donning the Ontema hairclip, users can be alerted to nearby sounds or even engage in traditional formats of media in ways they may previously have been unable to. Because Ontema picks up on environmental noise and intensity, it can enable a deaf or hard of hearing person to “feel” when a hazard is approaching. For instance, an approaching car would cause Ontema to vibrate. As a car became closer, and the sound of its engine grew louder, Ontema would vibrate harder and its light would flash faster and brighter. Its developers are also working on a TV receiver that plugs into a home entertainment system to provide another layer of interaction with TV programs. 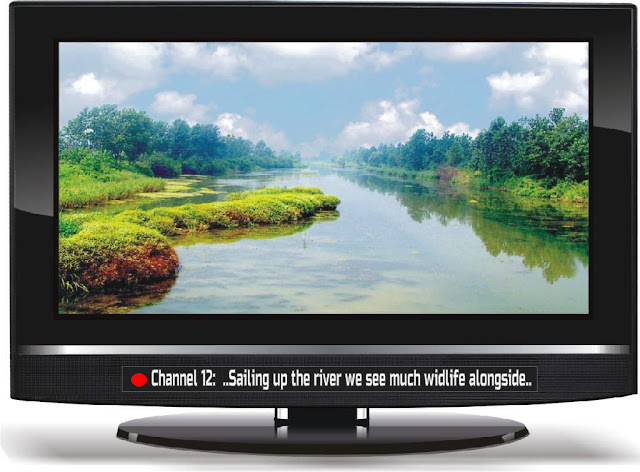 The idea is to enable Ontema users to feel the on-screen action, providing another layer of interactivity for those who are hard of hearing – ensuring they don’t miss out on incidental ambient noise in a movie or TV show. Deaf & HoH welcome UAE's 1st sign dictionary. There seems a difference between USA subtitling and UK. The USA ones look faster and more awkward to follow compared with the UK positioning and timing. That is not to say the UK ones aren't with issues, often we see filmed content obscured to near 30% visually. It can e.g. make some sporting events unwatchable. In many cases captioning of sports is unnecessary. There was a suggestion we should alter TV set construction to accommodate captions and tiles BELOW the actual coverage with a separate LCD line or such so the screen is free of clutter. I gather objections were made by sign users who felt their access would not be included in that. SKY TV News must be an example of how to NEVER caption or subtitle, too much going on, however they removed the signers but still cluttered up the text with subtitling, in-house captioning, and rolling updates all on screen at the same time! Over a third of councils across England have revealed they are cutting the education support they give to deaf children this year. The figures, obtained by the National Deaf Children’s Society through Freedom of Information requests, show that deaf children in these areas will be losing £4 million of support this year, with these councils on average cutting 10 per cent from deaf children’s services. The National Deaf Children’s Society fears that the support deaf children receive is now reaching “breaking point”. The charity warned that in the last four years alone, one in 10 specialist Teachers of the Deaf have been cut, and deaf children’s GCSE results are getting worse. The latest Department for Education data shows that deaf children are falling behind their hearing classmates at every stage of school, and at GCSE, two-thirds of deaf children fail to achieve a ‘good’ grade 5 in both English and Maths, a key government target. Susan Daniels, the Chief Executive of the National Deaf Children’s Society said: “The Government urgently needs to step in and tackle this mounting funding crisis in deaf children’s education. By not acting, this Government is putting the education of too many deaf children at risk and letting their futures hang in the balance. Speaking about why deaf children are losing so much support this year, Susan Daniels commented: “No one is in any doubt that this is a complex problem. We have rising numbers of children with special educational needs like deafness, but funding is not keeping pace with increasing demand. Ministers can talk until they are blue in the face about their reforms and record investment in the system, but as this data shows, that is a complete fantasy for deaf children who are facing huge cuts to their educational support. “The Department for Education like to say that children only get one shot at an education, but so far we haven’t seen any action from them to make sure no deaf children end up being left behind. They need to make sure central government funding keeps pace with increasing demand. They need to look again at the ring-fencing of schools funding. The issue isn't as simple as the poster makes out, as its stands film/TV show makers would have to write specific parts for the deaf, and this doesn't then suggest inclusion. It plays into the 'breed apart' thing that cultural supporters go with because it enhances their view of culture. The biggest problem is the deaf signing actor (Let us not confuse deaf people, with cultural deaf people), and fellow deaf, turning every appearance into a rights message or campaign/lecture instead of noting a deaf person's inclusion without any fanfare, or indeed acting skills that are some 'by-product' of being deaf or having a culture. The recent 'Quiet Place' film was an atypical example of the 'Deaf' community capitalising on the sign use and taking it completely out of context. Being accepted and included means equal profile, not 'examples'. True equality, is when nobody has to comment at all a deaf person is there. As regards to hearing playing the deaf, one suspects the real issue is about the timing and the lack of wider knowledge with the deaf, they tend to fall back to the cultural gig and defeat the point of equality and inclusion. 'Deaf people do it this way..' etc. If we are brutally honest, the hearing raise wider awareness than the deaf do when they play them. Awareness with your own doesn't count. To bridge gaps between hearing and deaf, examples of effective portrayals can do nothing but good in the long term. Deaf tend to forget they have to appeal to hearing audiences as well as their minority own, so need to get more au fait with what hearing want, after all, the viewer and paying customer decide, so it's not a right gig. Of course, Deaf pursuing own films and arts is counter-productive too, and inhibits the deaf actor from branching out, they do after all have a dedicated audience with dedicated sign films and shows, but they need wider appeal, and they can only get that by accepting things have to change so they can accommodate hearing people as well, instead of making demands they need to sign first, this will defeat any deaf actor attempting to widen their skills too. They can end up 'one-trick ponies'. It is why directors can look to a hearing person first because they have the skill to bridge divides. They demand different skills to what the deaf have. Deaf cultural and art is defeating inclusion, and confining the deaf actor, that's the rub. We have the same issues with the Deaflympics etc, the cultural deaf seem determined to STAY apart from everyone else. 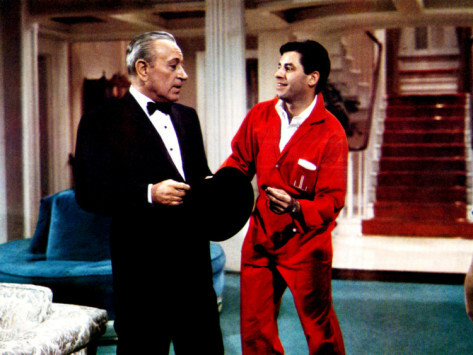 Near every appearance by deaf signer in films or TV has ended with a lecture, not accommodating the acting skill. Only 2.5 per cent know how to use Sign Language. 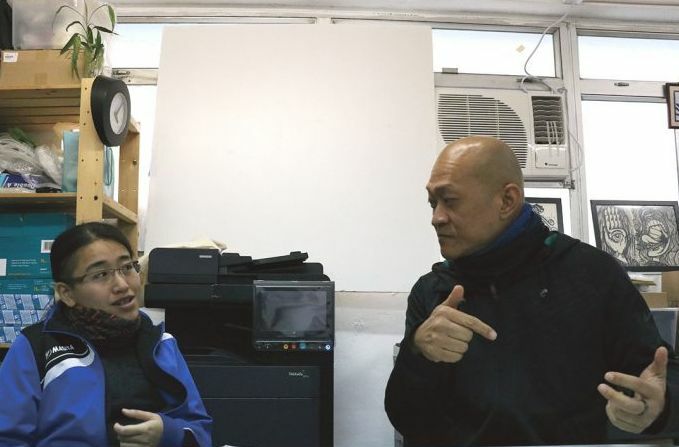 At the Sign Language Association’s office, Wang Kai-fung communicates with his Deaf colleagues using his hands and constantly changing facial expressions. But when he sits down to talk to Varsity, he speaks easily in fluent Cantonese. Wang, the 52-year-old founder of the Sign Language Association recalls his experience of studying in a mainstream school as a Deaf child. He says Deaf students have to pay very close attention to the shape of the teacher’s mouth when they are speaking in order to guess the meaning of words and sentences. In fact, this is still the case for many students with hearing impairments today. In the 1960s, the government began to promote integrated education, with the aim of “educating handicapped children in the same way as ordinary children whenever possible”. In 1972, it began providing free hearing aids for hearing-impaired students. 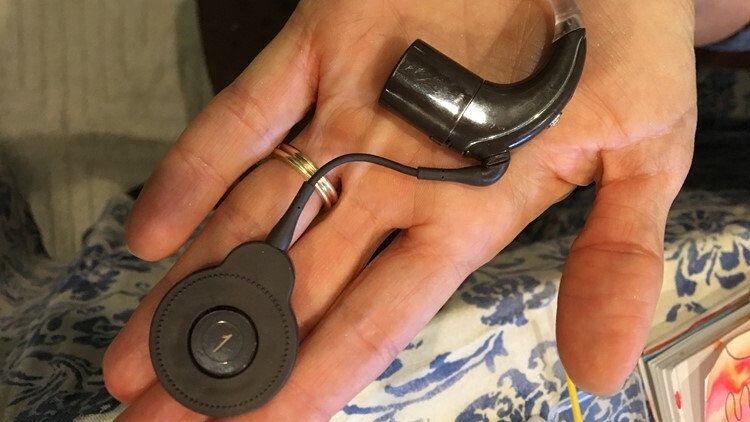 Since 1994, children with a severe hearing impairment who find hearing aids unhelpful have been receiving cochlear implantations, a low-risk surgical procedure. Cochlear implants help transmit weak electric currents to the brain so recipients can recognise sounds without audiphones. The government now sponsors 70 cochlear implantations every year, and most children are able to study in mainstream schools after the surgery. As a result, the number of schools for the Deaf declined sharply from 13 at its peak in 1973 to just one today. One impact of these policies is that the number of people who use Sign Language has declined over the decades. A report published by the Census and Statistics Department in 2014 showed there were 155,200 people with hearing difficulties in Hong Kong, of which only 2.5% knew how to use Sign Language. Hearing loss untreated and supported care and education, costs systems heavily after. It is a false saving to deny free hearing aids to those with hearing loss, as, it can be up to 50 times more expensive supporting them after. A False economy that contributes to misery and depleted social living as well as lost employment prospects, poor academic outcomes, and poorer health. For Erica Lindell, hearing aids are essential. Without them, the mother of two living just outside Winnipeg couldn’t hear her kids call for help, or even keep her IT job, which requires a lot of phone calls. But the devices are also a source of debt: She’s had to take out two separate loans – one for $10,000 and another for $5,000 after the first pair expired – to cover the cost of the devices. Ms. Lindell’s situation is not unique. Hearing aids can range from $1,200 to $4,000 or more for each ear, depending on the level of hearing loss and the technology in the device – and they often must be replaced every four to five years. Yet Quebec is the only province that provides full coverage for hearing aids as part of its provincial health plan. 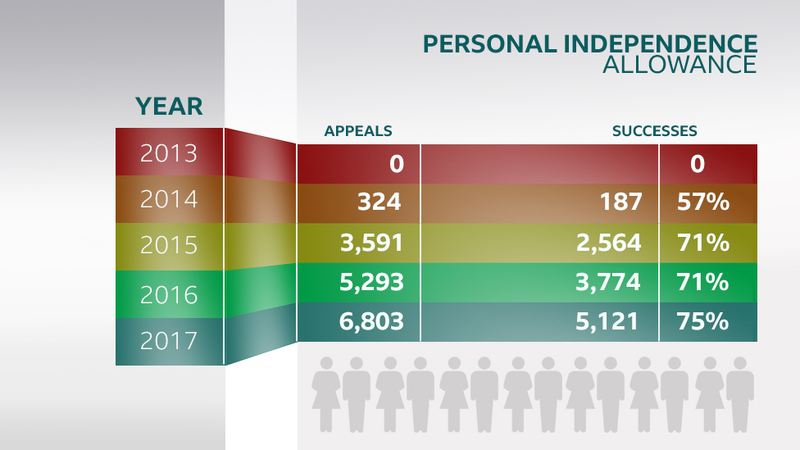 Most other provinces provide only partial subsidies for those who qualify because of advanced age or low income. Ontario, for example, gives up to $500 an ear. Alberta offers subsidies to low-income adults. Manitoba provides a one-time payment of up to 80 per cent of the cost of the hearing aid, to a maximum of $500 an ear, through its employment and income assistance program for those with a low enough income, while Nova Scotia provides no subsidies to adults at all. For many lower-income people, the lack of coverage means they must simply go without, says Rachel Caissie, an audiologist at Dalhousie University in Halifax. “I have seniors show up who’ve had hearing loss for 10 years and have never received help for their hearing loss because they cannot afford it,” says Dr. Caissie, who holds a PhD in audiology and runs a hearing clinic for low-income Nova Scotians. Hearing loss causes more problems than just being unable to hear. Studies have found it can also lead to social isolation and loneliness as those affected withdraw from friends and family. People with untreated hearing loss also experience higher rates of depression. Labels: ATR, Canada, hearing aid charges. One poster on the NADP social media was less than welcoming a re-post of a successful appeal system for the deafened and HoH. "25% failed or were unable to challenge so went without their entitlement. It is welcome to see the NADP noting DWP assaults on the deafened and HoH, but regrettably, they haven't challenged the DWP and government outright. We don't need support about our daily lives we need campaigns for our legal rights, I feel the NADP should alter their remit to that. Has the NADP signed the 'no-challenges to DWP' clause? We know the NDCS and AOHL did. Both have been condemned by the deaf community. We are told 360,000 HoH/deaf have lost part or all of their welfare entitlements with the onset of UC and PIP. In Wales, HoH were not even deemed to have a proven sensory loss. To successfully claim or appeal for the DL/PIP/UB benefits we were told (A) No hearing loss charity in Wales had anyone qualified to advise on claims or appeals, but were directed first, to the CAB which had no funds to offer communication help, and (B) To commute to Southern England where for a fee (! ), a professional welfare advisor guarantees your claim will be met. HOH fared much worse than the deaf when near 80% were turned down compared with 26% of the Deaf, the deaf that lost out were losers because the DWP demands for their support could not be met, the Interpreter system collapsed under the workload. They could not meet the DWP demand and the daily demand they had to also provide. The acute shortage of these interpreters was an issue too. Hearing loss was also assessed by untrained staff, wales had a lot of physiotherapists doing it who did not provide text or other support for the HOH, and only spoke to BSL interpreters for the sign user ignoring the actual clients. We did NOT see the NADP et al being even indignant about this and deplore the fact there has been no viable or obvious campaign for deafened and HoH rights in years. The HoH no longer require any help? We feel charities are no longer listening to us, and the NADP a redundant left-over from the 1970s. It appears more as an afterthought to them than any design to improve things. It won't encourage any members as it stands. Most adverts are for other charities for goodness sake! Notwithstanding, where was the NADP when the UK government was found guilty of the genocide of 6,000 disabled/deaf by the European Court of Human rights? talk (even Facebook texts), are pretty cheap let's face it!" Technology-focused university levels the playing field with AI for students who are deaf from Spanish Point Technologies on Vimeo. 11-year-old Isaiah Baire is only in sixth grade and has already written a book. The special part of this book is to let others know anything is possible. Baire has a hearing impairment, but he doesn't let that stop him from doing anything. "It doesn't hinder me at all. It actually helps me," said Isaiah. "Sometimes people like to look down on me because I have these. They think I can't do that much, but then they hear me play the piano and then they think twice." Isaiah lost his hearing when he was just a baby because of meningitis. "I always wanted to treat him just like he was completely normal, no disability. So, we always treated him that way," said Isaiah's mom, Tighe Baire. 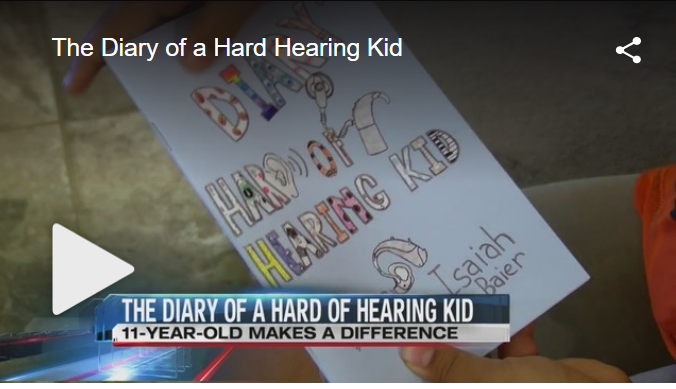 He said he can express himself through the sound of music, but now he can also express himself through his new book, "The Diary of a Hard Hearing Kid." "This is basically my autobiography. It's just the story of my life, and I wrote it to encourage other people who have hearing difficulties," said the 11-year-old. A cochlear implant and hearing aid help Isaiah out, so he decided everyone who is hearing impaired should have one, too. "I'm using part of the profits to go to hear the world. An organization that helps people in other countries that can't afford ears devices like I can," Isaiah said. He understands what it means to not hear what's going on around him. "Sometimes my implant and hearing aid die unexpectedly when I'm at some event or something and when people are trying to talk to me I can't hear them," he said. Reviewer blasts 'Quiet Place' as an ASL sham. To start, let me say I am thrilled that A Quiet Place features the endearing young Deaf actress, Millicent Simmonds, in one of the lead roles. Too many Hollywood productions fail to cast Deaf actors for Deaf roles, so it is refreshing that producer and lead actor John Krasinski insisted on casting a Deaf actress in this movie. It is also wonderful to see ASL on the big screen. Even though I wasn’t able to watch an open-captioned showing of A Quiet Place, it is an easy movie to follow without much reliance on captioning devices. If I didn’t want to think too deeply, I would agree with all of the positive reviews and comments about how novel and thrilling the movie is. It could be a blast to go and watch simply for the sake of getting scared. On a surface level, it is a fun horror movie. I can’t in good conscience say nothing, however, about what I find problematic and exasperating about this movie. 1. ASL is a last resort. In the movie, ASL is portrayed as a last resort means of communication in a worst case scenario. ASL is not used by choice. It is a feature of the movie’s dystopian setting, the only option for survival in a very negative situation where people will get killed by terrifying creatures if they make noises. Luckily, the Abbott family already signs because their daughter is Deaf. In the framework of a dangerous and frightening world, ASL becomes a benefit to them. Unfortunately, signing in a bad situation parallels the real life scenario that is all too common: ASL being presented as a communication option for Deaf babies and children only as a last resort. Medical professionals and so-called education experts usually discourage the use of ASL among Deaf babies and children. This is done out of the incorrect assumption that spoken language development will be impaired if ASL is used. Only when all other options fail, do many Deaf babies and children receive exposure to ASL. When they finally are allowed to sign, the effects of language deprivation have already made their mark. The movie misses an opportunity to show ASL in a more positive light, as a chosen language with many benefits. 2. ASL is only good for basic communication. The movie does not show ASL as a full language that is useful beyond crises. Most of the signing is limited to basic communication. Characters turn to speaking when their conversations become deeper. For instance, the father would sign “no”, “stay” or “be quiet” to his son, but they would speak to each other when discussing whether the father has told his daughter he loves her. Even if this difference in language usage may have been unintentional, it subtly links ASL with primitive needs and voice with more abstract conversations. In the movie, the siblings play a board game in silence, suggesting that ASL does not allow for the interesting conversations people typically have while playing games. In reality, Deaf people carry on full and animated conversations in ASL. 3. It is awfully scary to be Deaf, to use ASL, and to live in a silent world. Most hearing people are understandably afraid of not being able to hear or use their voices and of having to use other communication methods instead. A Quiet Place becomes a successful horror movie by taking advantage of this fear, incorporating it with other scary elements to ramp up the fright factor. This perpetuates hearing people’s fear of being Deaf and using ASL when neither is as scary in reality. 4. Deaf people are vulnerable, dependent and dumb. The Deaf character in this movie is a young girl who, due to being Deaf, is particularly susceptible to being eaten alive by the terrifying creatures who lurk in the shadows, ready to pounce on anyone who makes a noise. In one scary scene, the camera follows her as she walks through a field, unaware that a creature is stalking her. She has to rely on her hearing family members to alert her to the creatures’ presence. She is also the one who indirectly “caused” her younger brother’s death because she gave him the rocket toy that made noise and attracted one of the creatures who ate him. Even though she did not give him the batteries, had she not given him the toy in the first place, he would still be alive. Her brother might have contributed to his own death, but in the end she is still at fault. The movie chose to focus on the Deaf girl’s missing sense completely and blow any perceived dangers out of proportion while leaving out the unique benefits associated with being Deaf. Research shows that Deaf people have quicker reaction times to moving stimuli in the periphery and are more accurate when it comes to discriminating differences in angle of motion and direction than hearing people. These vision-related advantages could easily have translated into useful contributions made by the Deaf girl in helping her family outwit the creatures. Instead of making the whole movie about how the Deaf girl struggles to fit into a hearing-centric world, it would have been more enlightening to show the positive aspects of being Deaf. The only time the Deaf girl actually makes a significant contribution is when she uses her squealing cochlear implant to outdo the creatures. Is a social worker necessary? ATR responding to a social worker who insists they have a relevance to the deaf community. We disagreed... We sympathise they are the patsy's of the system, but it doesn't change anything. The UK dedicated system for the deaf folded some years ago when deaf decided they wanted rights, not reliance, and discovered only 35% of social workers they relied on had any sign qualifications. It was simply a continuation or institutionalism. They wanted professional BSL interpreters, and the Social Service workers decided they were insulted and being replaced by better-paid others and the deaf social services collapsed. The current social worker support system is unfit for deaf purpose and has never been a HoH or deafened one, because they had no sign or other qualifications, which meant if you wanted to use a service provision then you had to have a terp to speak to the social worker, it became impossible. There are also legal issues with 3rd parties which put deaf at risk of being ignored or overruled or simply told to go elsewhere. There should be an end to unqualified social workers with the deaf or HoH as this prevents proper interaction, hence deaf using an interpreter for advice, not a SW. E.G. A parent of an autistic child got through 14 social workers in 6 years, they were just out of their depth and ask to be relieved of supporting our child, the parents had seen 2 Social Worker changes this year and its only May. The only answer for those with hearing loss is direct access to the pro support they need and by-passing SS to get issues resolved, a direct line for them to get interpreters or note takers etc, as and when required, it should be automatic anyway as 4 equality and the UK access laws say it already is. Why do we need system assent first, they are just there to 'validate' access by cost, not right. If you were treating someone french you would not request a German speaker would you? I think the only justification for a SW is where a person is unable to resolve a situation themselves. Currently, it is about who justifies the money spent, not the service required and entitlement. We can attend the NHS or any emergency area with communication support or Local Authorities but we are prevented often because the system tends to insist we go through a SW/or health area or emergency employer first, this is not enabling at all. The 'system' pays for that support and the SW is part of that system, their 'agent' to 'validate' (A) If you need it, and (B) If they can afford it. This is not necessary is it? They could simply pool of resource funds to a neutral area to oversee. A lot is blocked because they know deaf and HoH would use such access to support for a lot more than just talking to the system. They would create a demand that currently isn't being met. We would widen the support access to ALL areas we want to attend, that currently, the equal access laws are sterile in solving and the systems obstruction. Access without freedom to self-hire isn't access. Successive governments have moved some essential welfare benefits to local Authorities to determine who gets them but cut the funding to these authorities which meant they defied the rules governing qualification to entitlement by stating deaf and HoH were not entitled to welfare service benefits because they weren't 'sensory-impaired' enough. In essence, they provided for the blind instead and refused those with hearing loss who had already lost DLA a benefit that helped their mobility. The state just passed the buck to the LA who pass it back, leaving the deaf and HoH in the middle. Since then the Social Services have been the people turning the deaf support DOWN, and telling them to contact disability advice areas who were charities, and who got no funding to enable a deaf or HoH person with communication support, to claim anything. The Social Services inspectorate raised concern social workers were fed up of being 'piggy in the middle' and getting abuse from the deaf/HoH and disabled and were leaving the profession. You as a social worker were 1 in 300 who had ANY deaf awareness or signing skills, and you still could not lip-speak properly. As its stands the deaf/HoH support does not help the majority with it. Still far too many unrealistic claims of lip-reading effectiveness and even the viability of the tuitional classes and courses, let alone who has the remotest opportunity of gaining a professional qualification at it. ATR has gone to the expert scientists HERE, (The USA). The results revealed that the mean lip-reading score in visual-only sentence recognition was 12.4% correct with a standard deviation of 6.67%. Hardly a ringing endorsement of lip-reading at all. They say attainment levels cannot compare like with like e.g. Did hearing people lip-read better etc or the same or worse? Does anyone hear or lip-read 100% of anything anyway? They don't, but who is really gaining at the end? Were deaf or hearing better at filling in the gaps? one survey suggested the hearing did far better when pitted against the deaf. Clearly, the UK stat declaration Lip-reading was 60% effective was blown out of the water. It can be 1/10th of that. So filling in those gaps need mind-reading, not lip-reading! With respect, I understand at a typical LR class in the UK less than 3/7 in a 1,000 ever acquire that professional skill. This is an agreed 'guesstimate' as there are no effective UK statistics or surveys available, mainly because requests for them are blocked by Data Protection laws, or the teachers are biased, which sadly means such classes and courses can claim whatever success they want. The real proof is in the published success rates of which there are just anecdotal claims. So many random factors prevent sufficient skills being acquired, currently, they say age and residual hearing determines whether you gain something or not and has nothing to do with the actual teaching driving that. This tends to exclude those with little residual hearing left or the elderly, who form the bulk of students attending. Statistics from America tend to gloss over gender participation issues too. In the UK the majority of those attending classes are female, not male. Anyone know why males avoid communication assist classes? 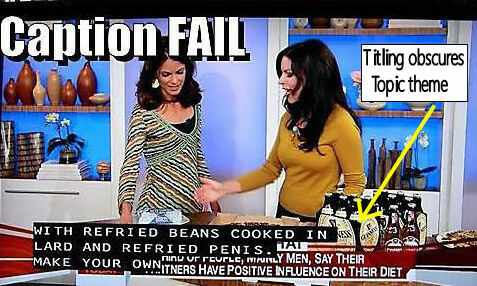 Too proud to admit they need help is one reason suggested. The UK class system of communication assists are more centred on the belief that encouraging more social interaction is the answer, then presumably the skill will follow with that, as classes tend to attract those at the point of urgent need. This has been disputed in that those with advanced hearing loss issues or older would not stay with the course and are left behind, even separated from those with residual hearing that is effective in a class. They then leave feeling more of a failure. Any suggestion a 'mini-social club' set up of like with like, just identifies the better off hearing will gain not the targeted area of 'most in need'. With no actual qualification as PART of a class set up, the point can be easily lost. Teachers respond emotively and state 'If we can help 1 person to get out there in the real world again, it is a success..' Unfortunately 1 is about all it is to pro level. Is that justified? Google Science Fair How Can The Deaf Hear Music from Universal Translator on Vimeo. As you know it's Deaf Awareness Week this week, and you might have already seen that NUBSLI, the interpreter's union, are posting videos explaining how the work we do also supports the Deaf community. Today's video is about Fee Guidance. As you know interpreters each charge their own rates, and they can be pretty varied, so NUBSLI created the Fee Guidance so people could check what the average rate they can expect Interpreters to charge for; a minimum call-out fee, half day, full day etc, throughout the UK. There's a misconception that interpreter's earn lots of money and that they're greedy. But in reality Interpreter wages have stagnated for some time now, they haven't increased- in fact, many have been cut! This has led to Interpreters being forced to leave the profession and get another job as it isn't affordable to work as an interpreter and be able to pay rent, bills etc. Also, interpreters have to pay for things like insurance, registration and training - there's a lot of outgoings! If our wages get cut then we can't carry on working as interpreters, we're left with no other choice than to leave and find alternative work. It's important that our workforce is sustainable, that way there will always be enough interpreters in the future, they can carry on working and aren't forced to find a different job. The Fee Guidance was developed by surveying NUBSLI members; interpreters throughout the UK, to find out what each member charged, then working out the average for each area. You can take a look yourselves by going to NUBSLI.com and searching for the term "fees" using the search tool on the website, that way you can see what the average rate is for your local area. We don't know about Ireland but near 9m HoH have nowhere near the support a sign user has in the rest of the UK. Imagine growing up in your own home city and not being able to use your native language at the post office or when you visit the dentist or doctor. Imagine having to rely on a family member to translate for you, even when in hospital. This is the language discrimination suffered by our deaf community. We hear a lot about the rights of speakers of Ulster-Scots and Irish, but for these people communicating in spoken English is always an option when they need medical attention. I was hoping that when Belfast City Council decided to appoint two language officers, it would have taken the needs of the deaf community seriously, but apparently not. Look at how it has have allocated roles to the two language officers. One post looks after the needs of Irish speakers and requires fluency in both spoken and written Irish. By contrast, for applicants for the other language officer post, which supposedly caters for the need of users of sign language, there is no requirement that they can communicate in sign language, either British Sign Language (BSL) or Irish Sign Language (ISL). Someone who wants to talk to the Irish language officer about the needs of the Irish language community will be capable of speaking temporarily in English, but most deaf people simply do not have the option of communicating in spoken English. There is a greater need for one of the officers to have BSL, or ISL than there is to have fluent Irish. The needs of the deaf community are less visible due to communication difficulties, but it is shocking that, just because the deaf have not taken to the streets to protest, their needs are virtually ignored by our elected councillors. Would Helen Keller have refused one ? The experience has changed the life of the campus pastor and local missionary. In her earlier years, Debbie wanted to do faith-based mission work overseas. The loss of her hearing made that nearly impossible. She had her ears tested in college and discovered as a freshman that she already had 10 percent loss. She lost another 10 percent every four years until she was completely deaf. Hearing Loss: The Cure (Part 1). HLS win for Deaf student of Law. Aldi does deaf week with the Silent Child. Deaf Schools, should we close them all? Don't feel sorry for the Deaf! NZSL a Norm in Parliament. 'Pop Star' Does BSL for Eurovision song. MS to invest $25m on accessibility programme. Another Deaf School Super gets the boot? Harlan Lane was he Naive? All Deaf sign? NOT SO! More BSL access up North? Relay systems NOT addressing the access issue?